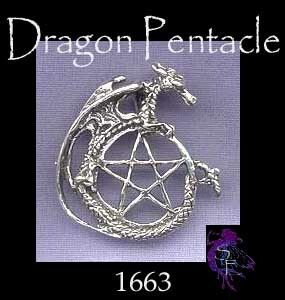 > You can Customize this Dragon Pentagram Pendant into a Dragon Pentacle Necklace -- Choose from : Pendant Only or on a Sterling Silver Necklace Chain (see last pic for current chain style. 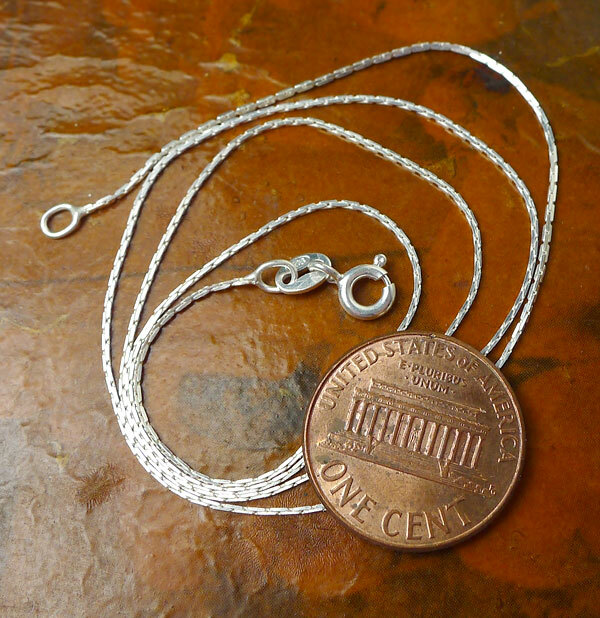 When selecting on SS Chain, your solid sterling silver dragon pentacle necklace will come boxed and ready to wear or gift. 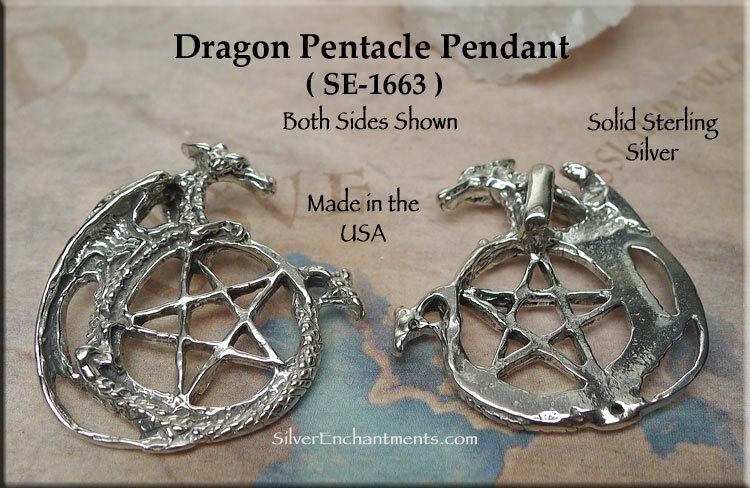 When most people think 'Dragon' they most likely think of the Western dragon. Western dragons are usually portrayed as evil, mean, and bloodthirsty. They were also known to have huge hoards of gold and jewels hidden in their lairs. The most famous dragons are portrayed as Western-type dragons: St. George and the Dragon, Beowulf and the Dragon, and Draco in the movie Dragon Heart. Some stories have the western dragon as the Devil. 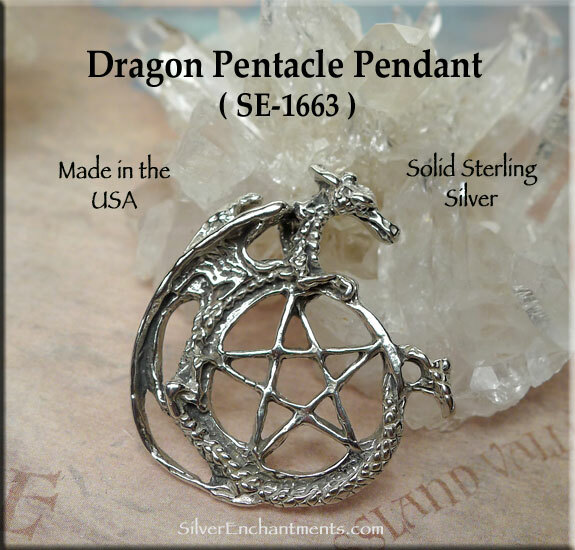 Other stories in legend say that eating a dragons' heart will give the consumer the power of understanding birds, eating the dragons' tongue enables the person to win any argument, and rubbing the dragons' blood on skin will protect against stab wounds. Another myth references Vlad Drakul to mean Son of the Dragon, or Devil. The end of the dragon came with Christianity, and knights that were eager to prove their faith. The knights quickly discovered that dragon-hunting was very profitable, and soon most the dragons in the world were destroyed in a very short time. Vikings had dragon figureheads on the prow of their ships. The dragons on the ships were believed to endow keen site and cunning to the Viking warriors. Today the Welsh flag still has a red dragon on a green/white background, and the red dragon is their national symbol.